My brother-in-law cooked this delicious Balbacua for us a few days before he flew to Brunei for a job opportunity. I wasn’t able to ask him the ingredients of his specialty dish and how it is prepared, so I borrowed someone else’s recipe on the net (recipes.inthephilippines.net). 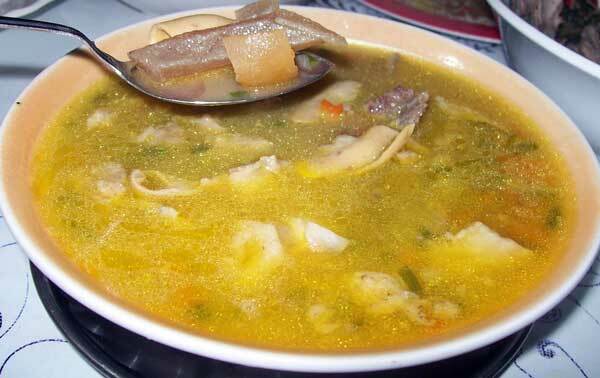 This entry was posted in Comfort Food and tagged Balbacua recipe on February 16, 2011 by Yami. Is it some kind of soup? Look so yummy!!! Oh my deliciousness! It’s been forever since I had some balbacua. Hmmmm… I would love to have some for sure! 🙂 Visiting via TBE. This looks so yummy sis.